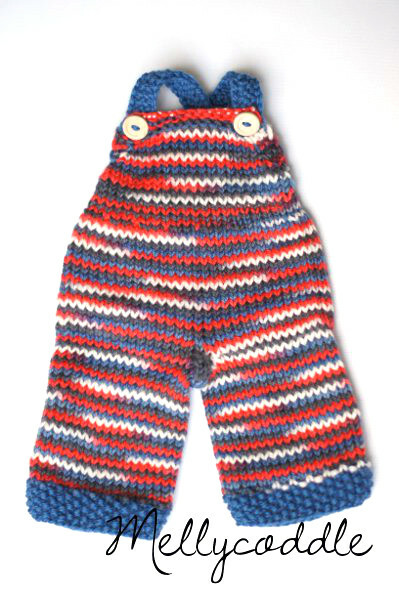 A custom request for a boy coloured 15″ Tomboy Knits Overalls for a 15″ Waldorf Inspired Doll. The pattern is Tomboy Knits Overalls pattern. The yarn is “Ex-Boyfriend’s Sweater ” by Oint Pigment on 100% Superwash Merino Wool. Trim was done using 100% wool yarn.